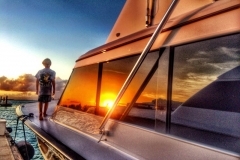 Living the Life! 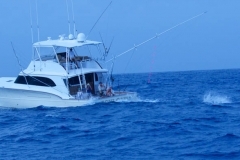 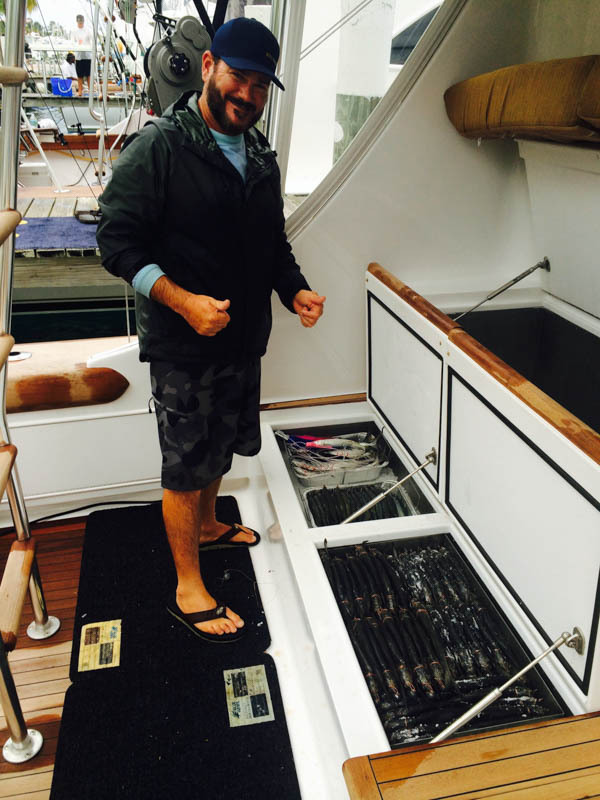 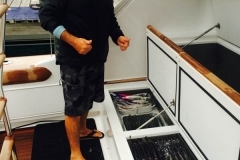 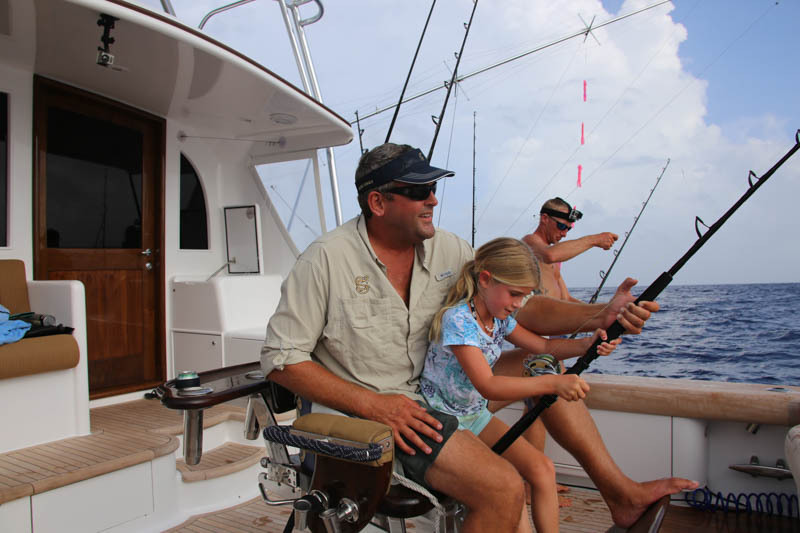 Photo gallery of the Reaves family and fishing aboard their Paul Mann 65-foot SOUL CANDY! 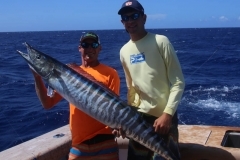 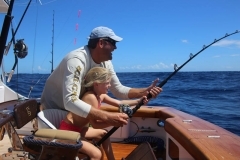 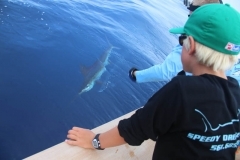 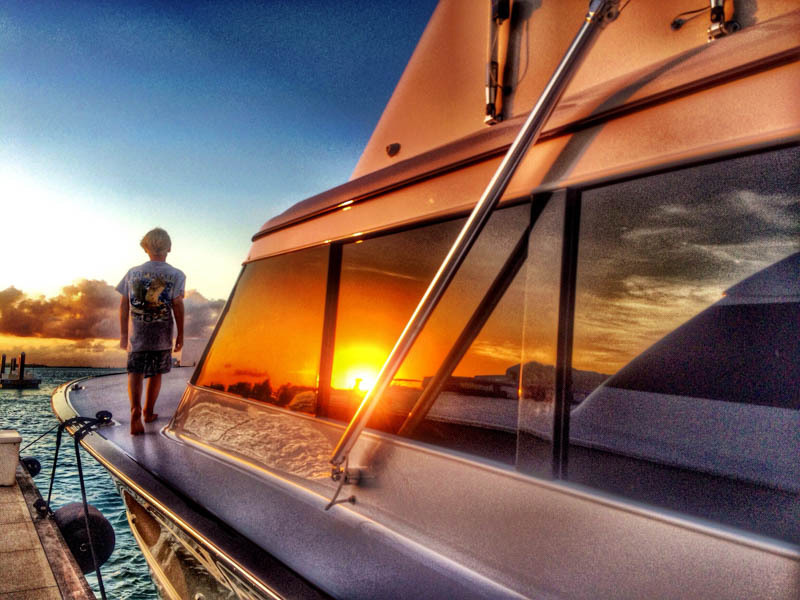 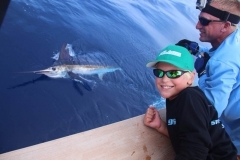 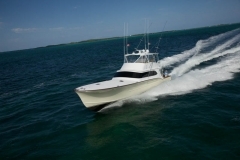 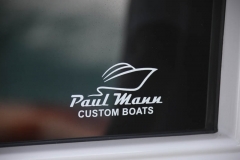 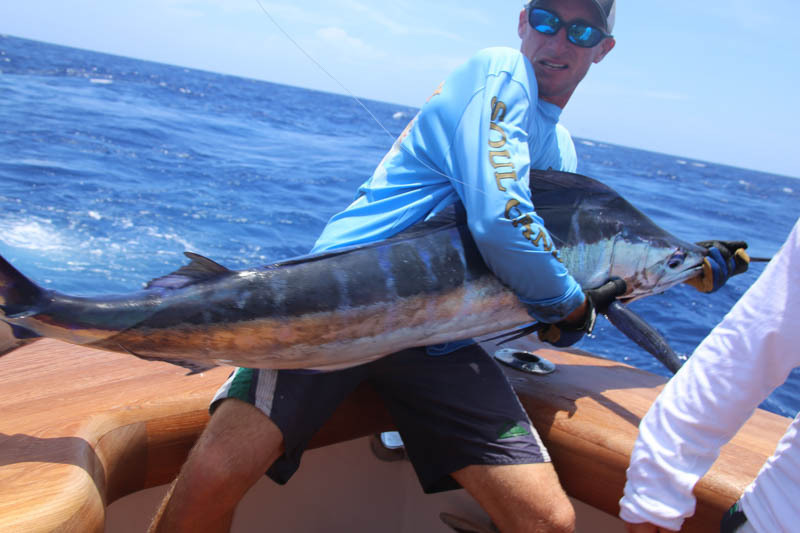 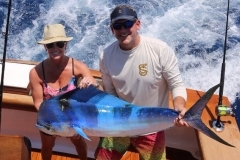 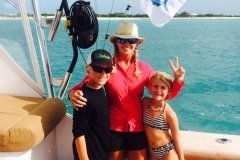 Want to see a real sportfishing family’s dream? 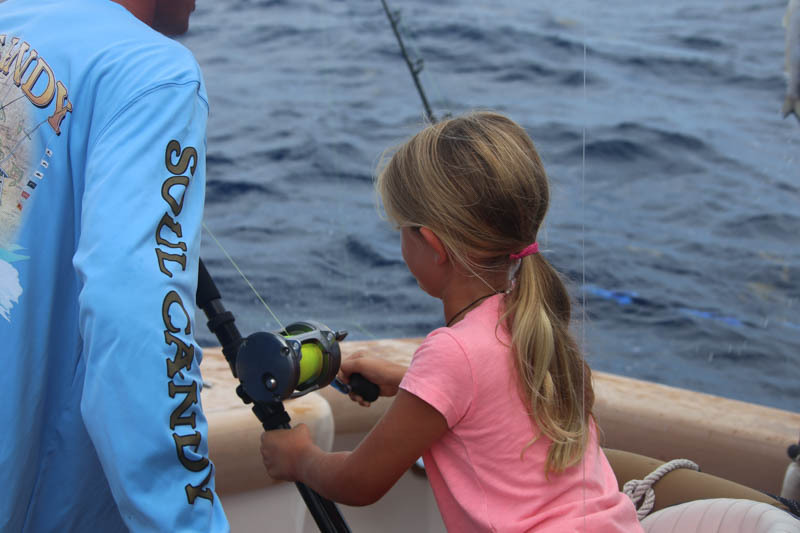 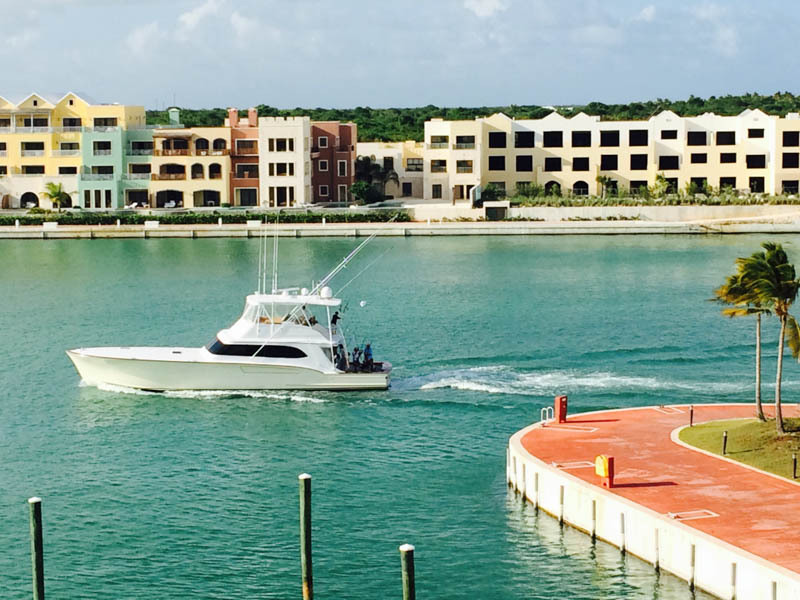 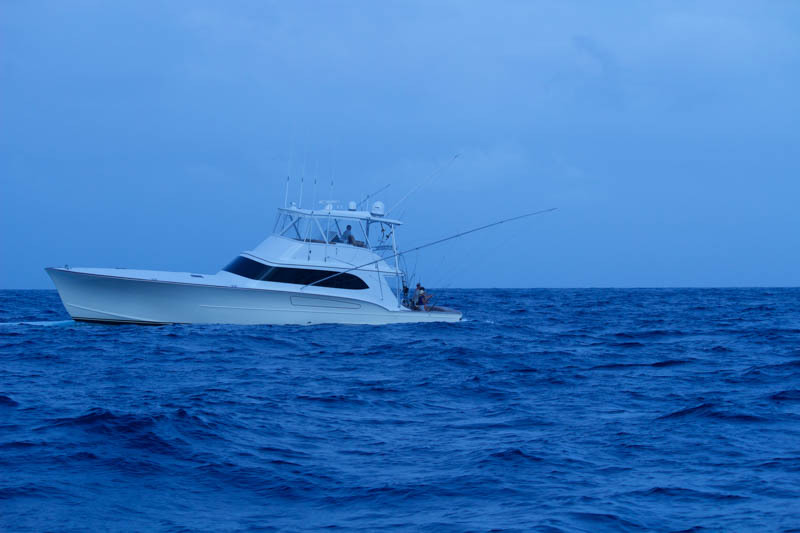 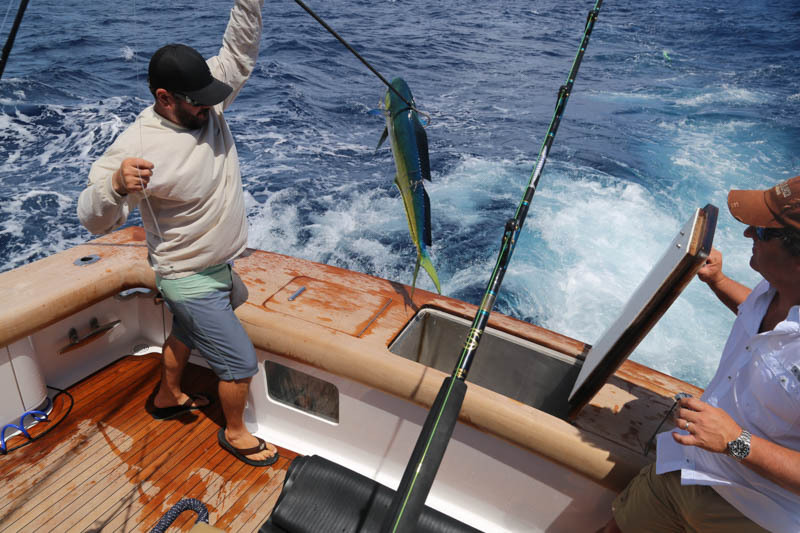 Take a look at these wonderful photos by Todd Reaves, selected from those taken during the family’s 83-day fishing vacation aboard their Paul Mann 65′, Soul Candy. 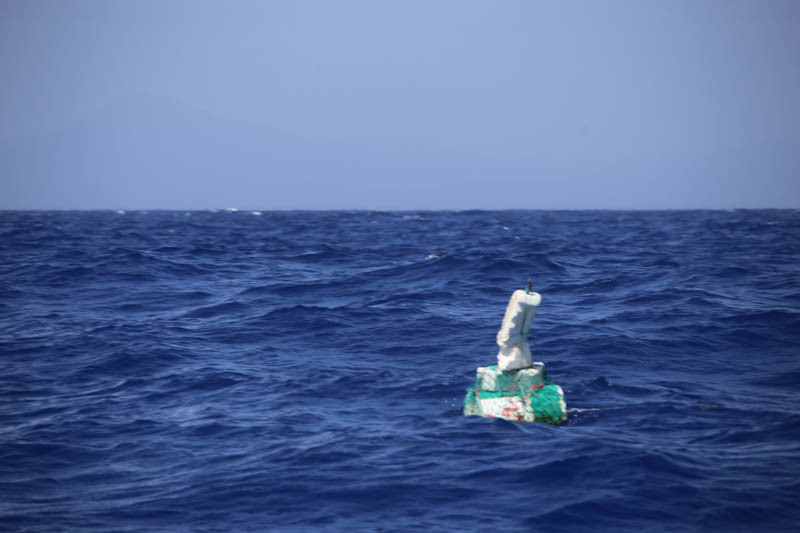 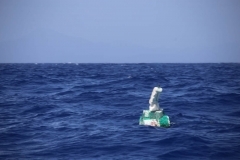 The crew included mom, Storey, the kids, William (15), Smith (9) and Isobel (7), as well as Todd’s father, Bill, plus they rendezvoused with good friends along the way. 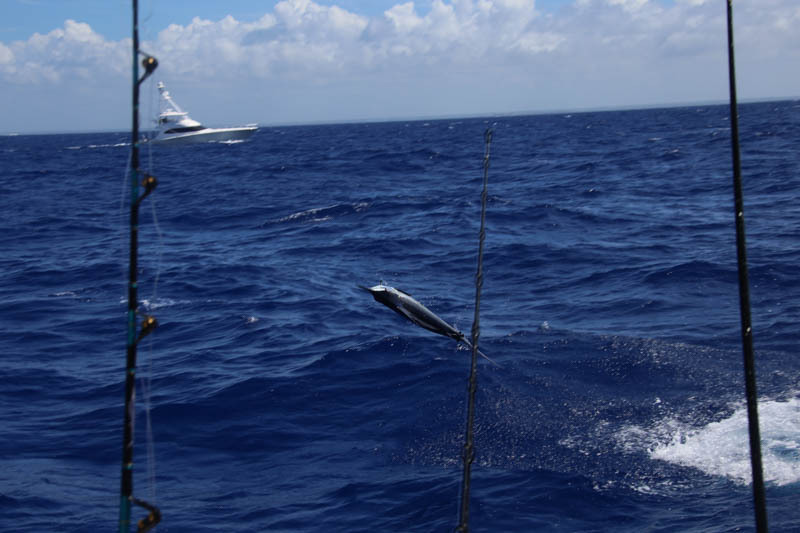 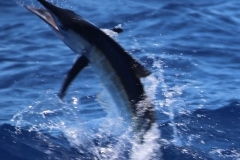 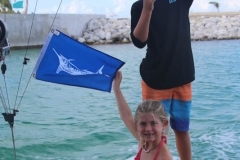 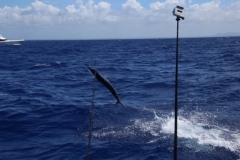 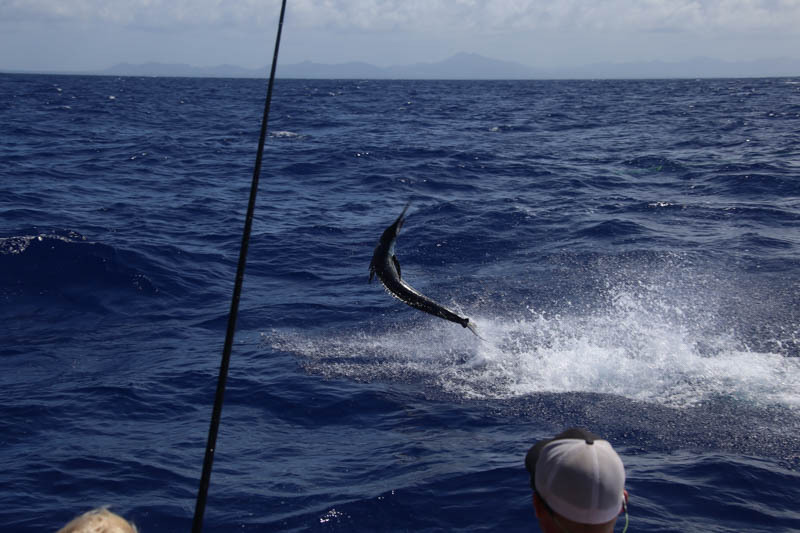 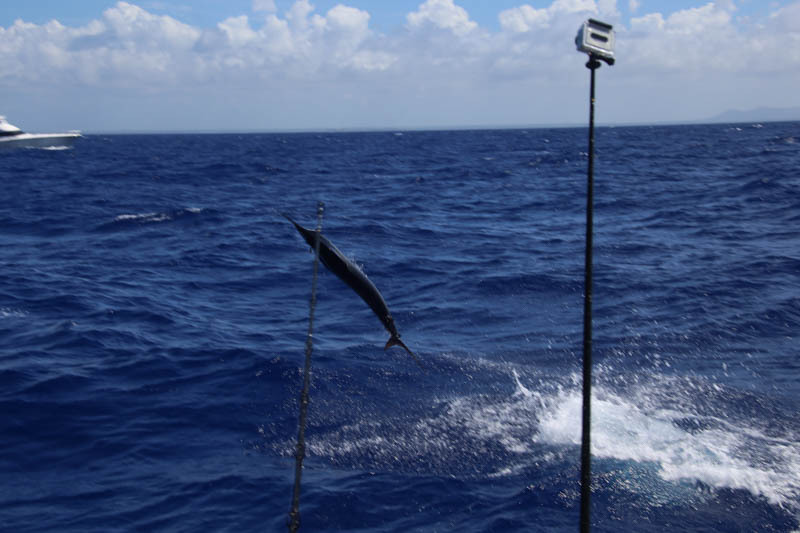 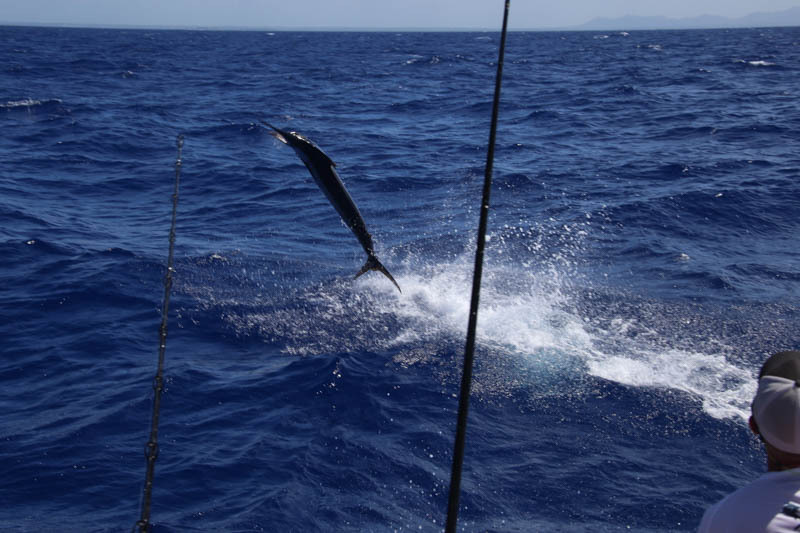 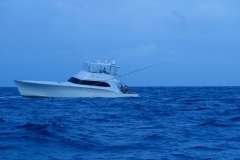 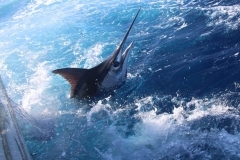 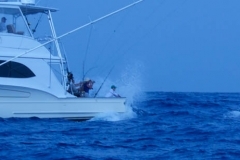 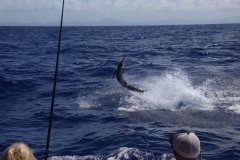 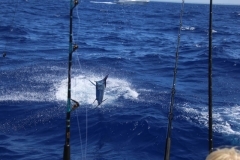 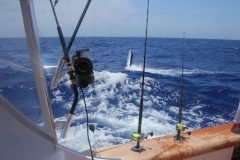 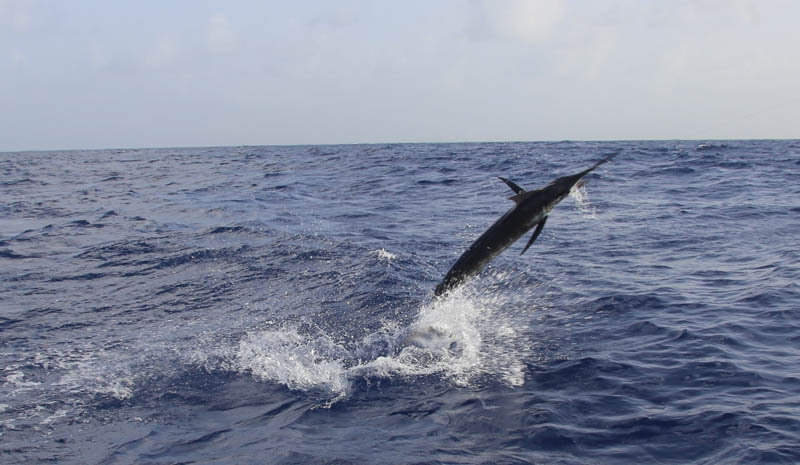 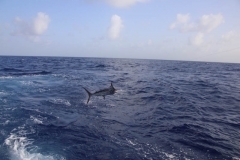 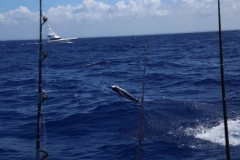 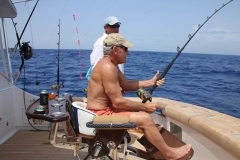 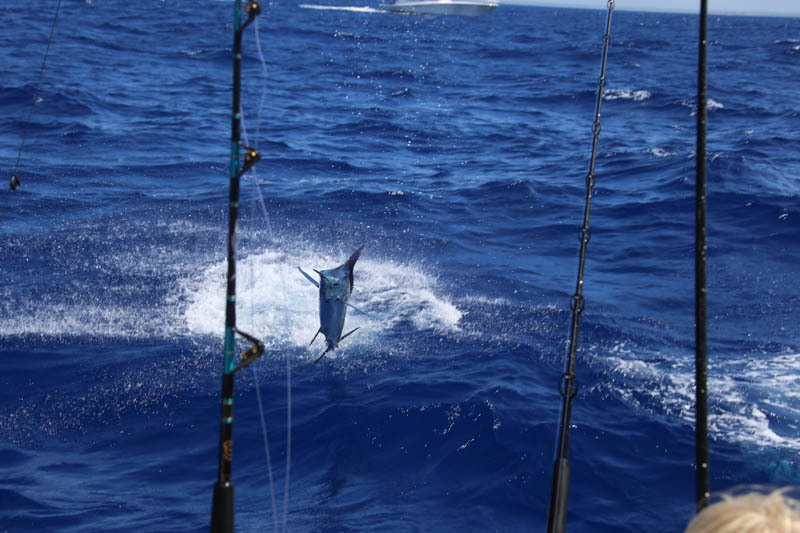 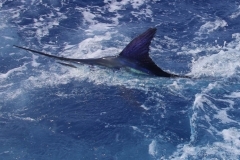 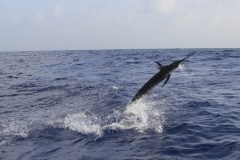 The Reaves fished 20 of the 83 days and caught 19 billfish including eight whites, 10 blues and a sailfish, and saw many, many more. 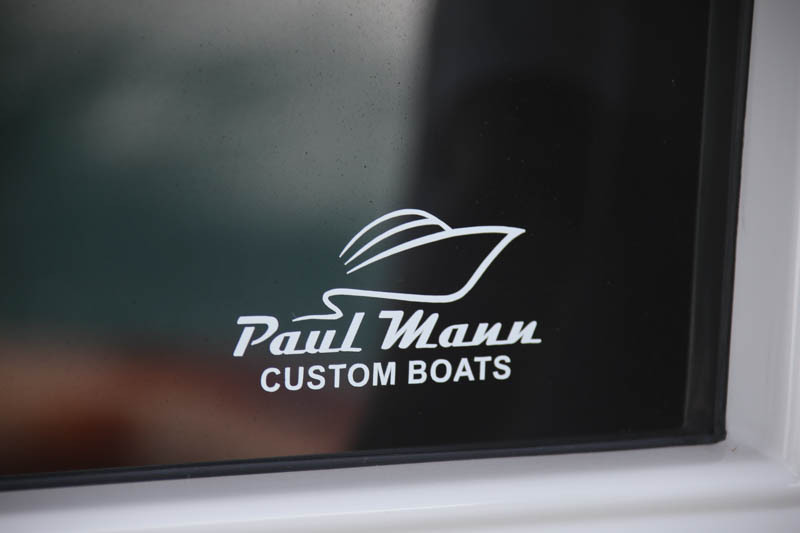 How great was the fishing on the Reaves’ Paul Mann? 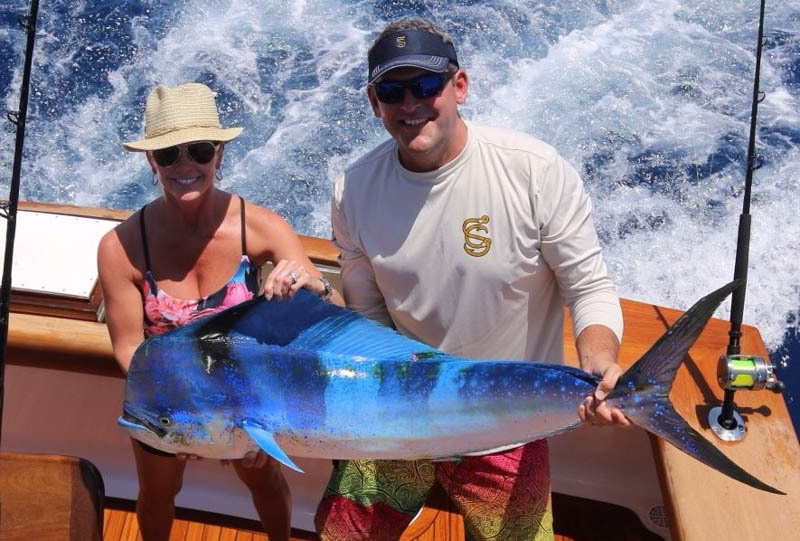 Storey caught her first blue. 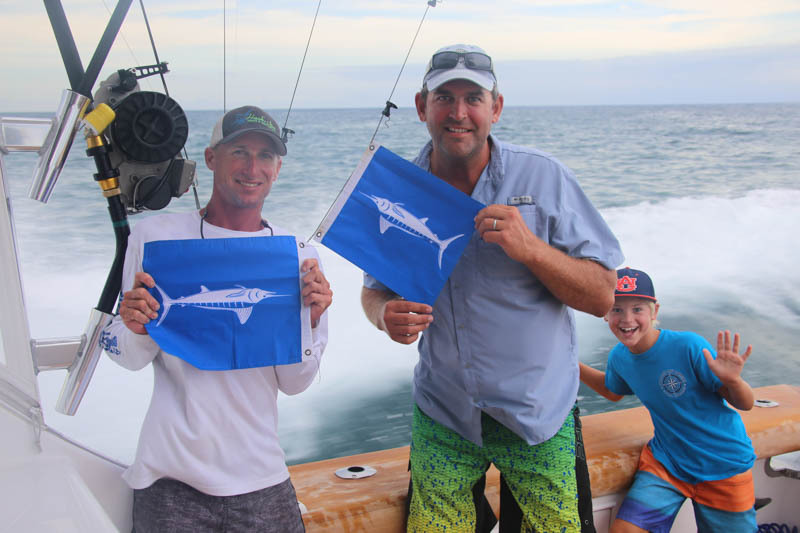 Smith caught his first sail. 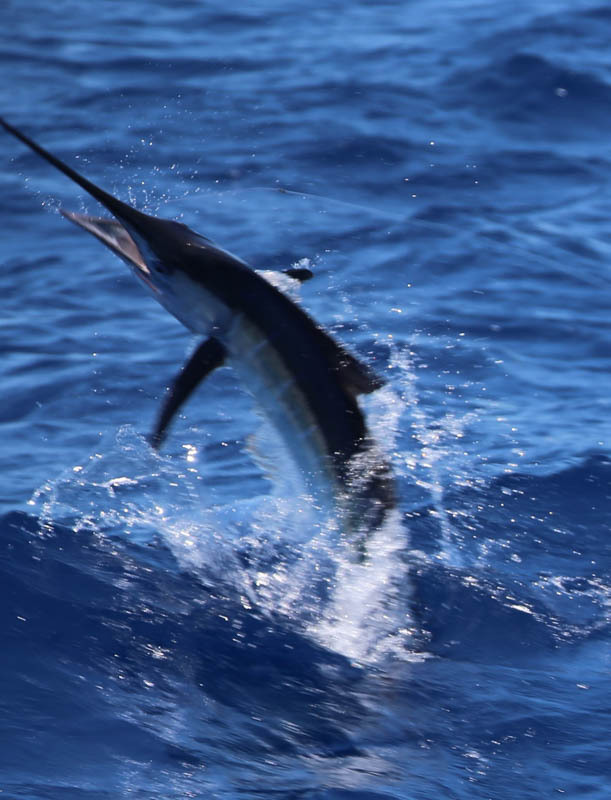 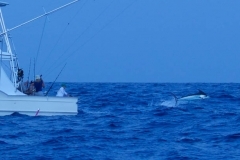 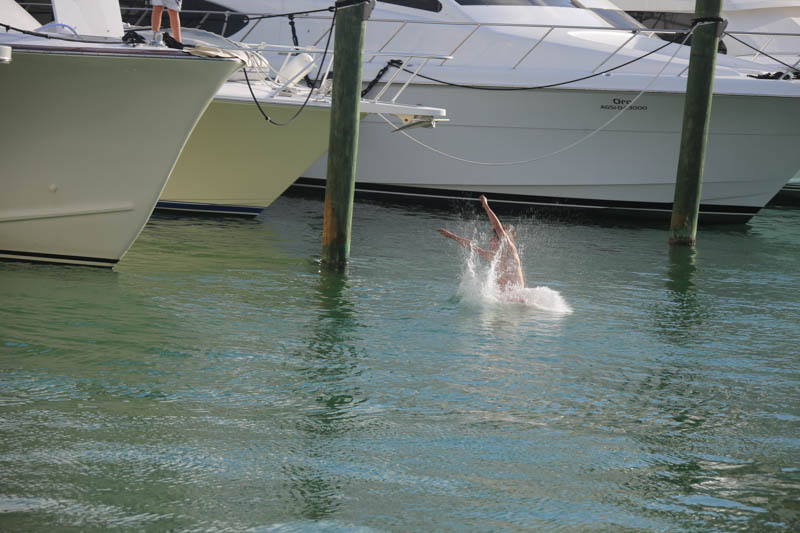 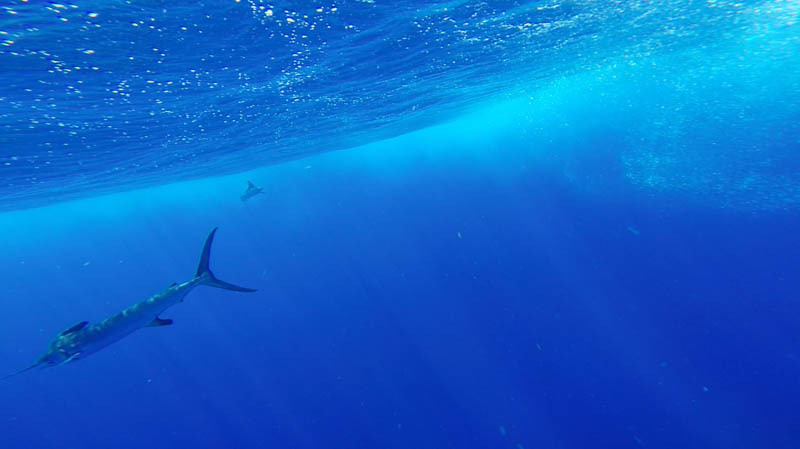 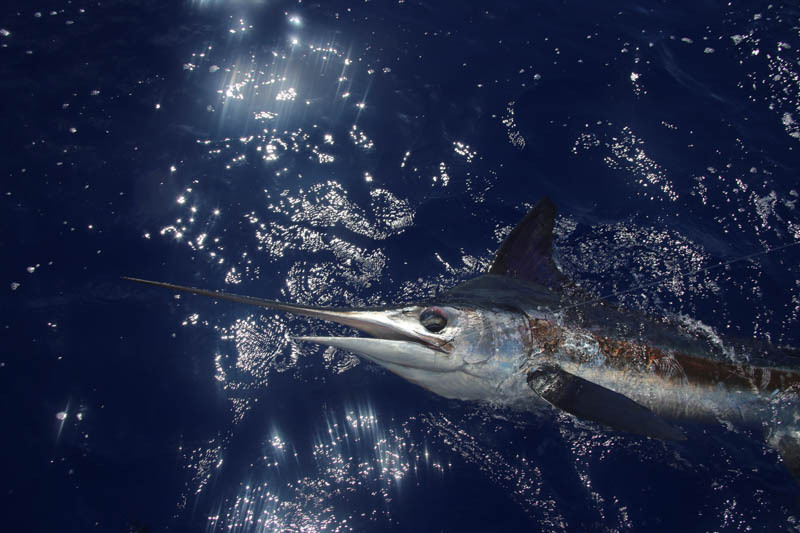 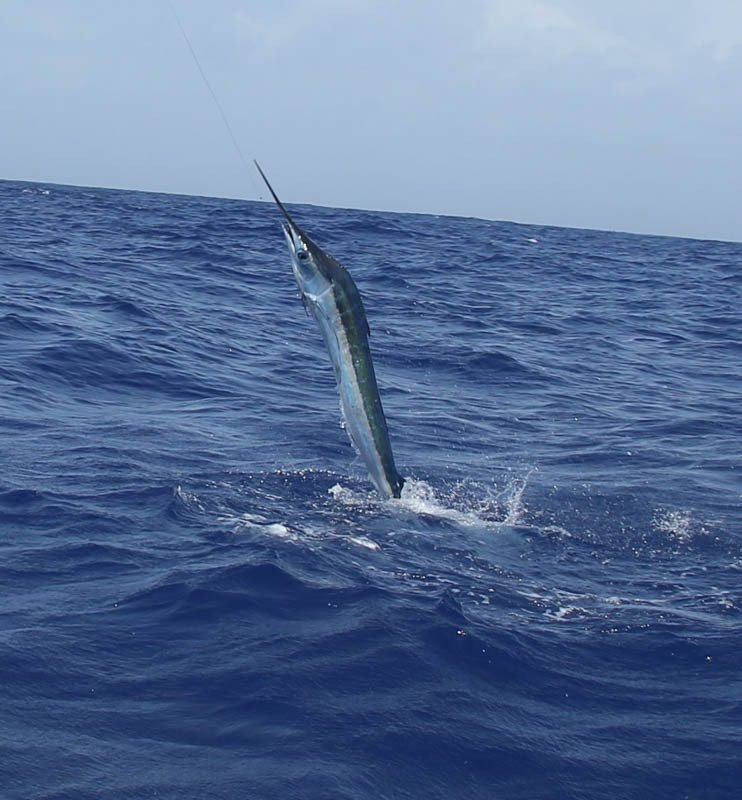 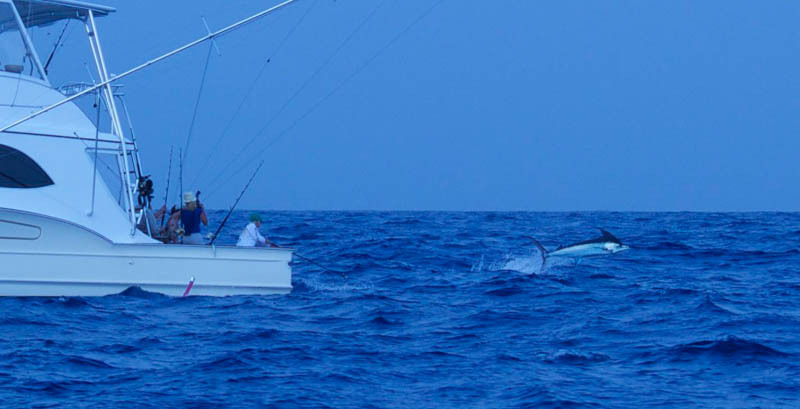 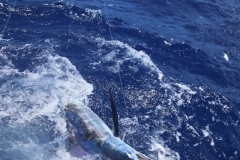 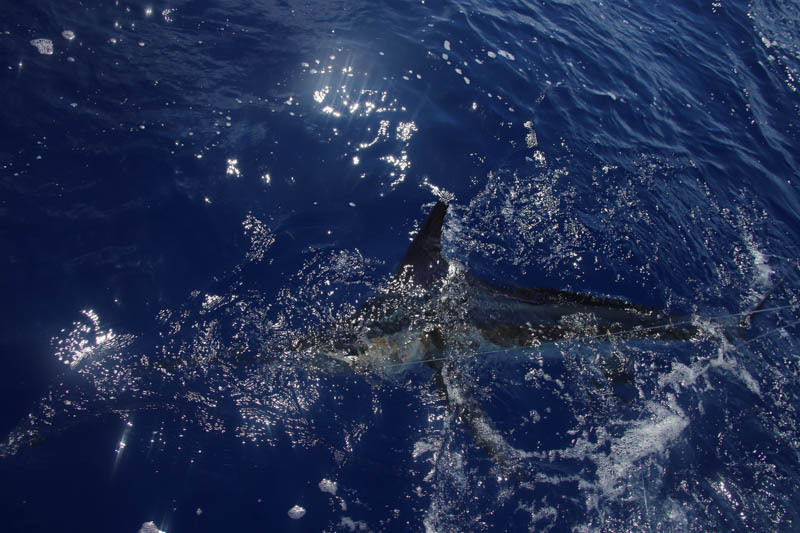 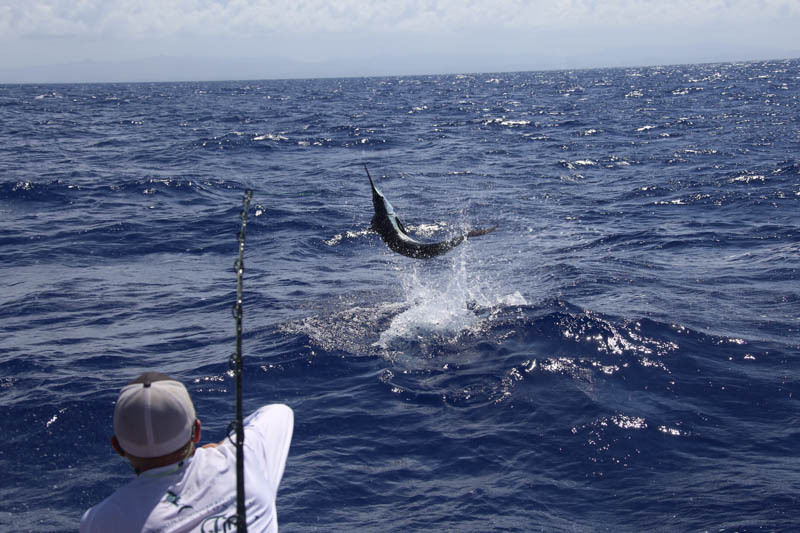 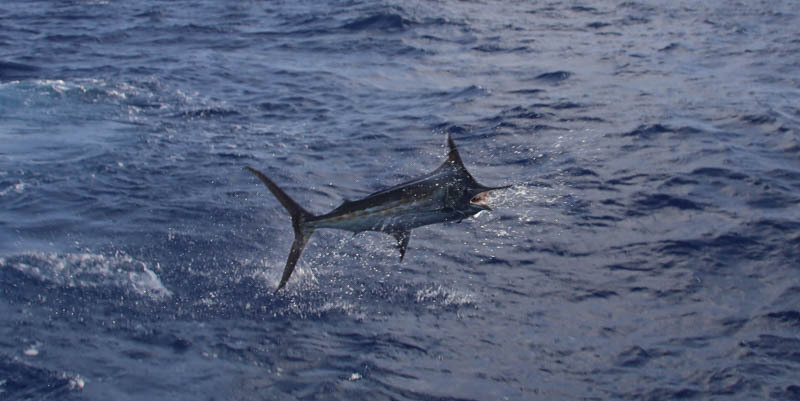 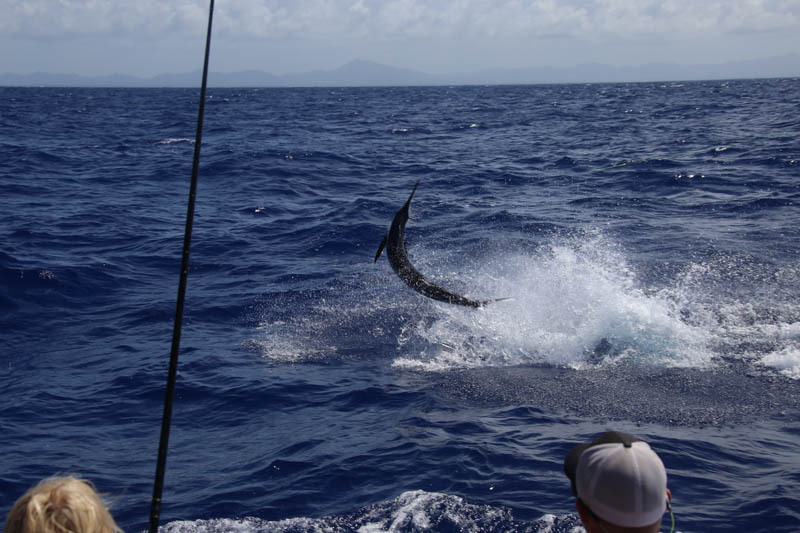 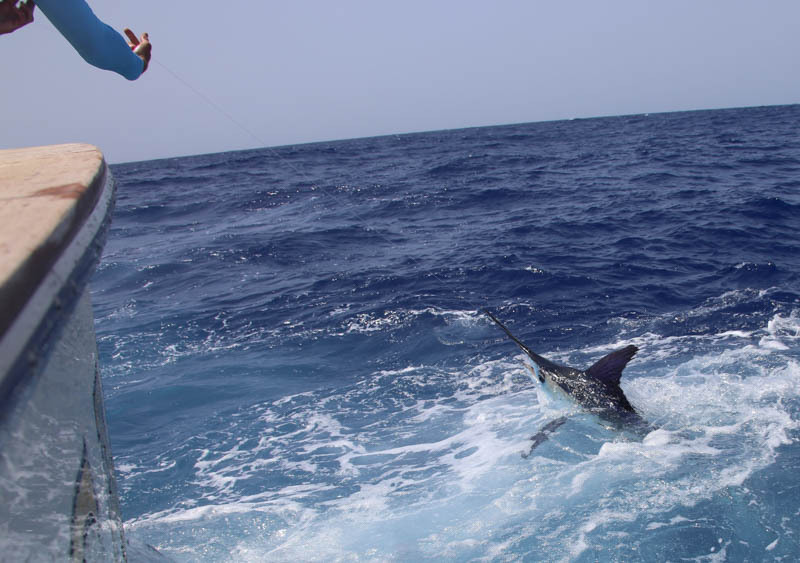 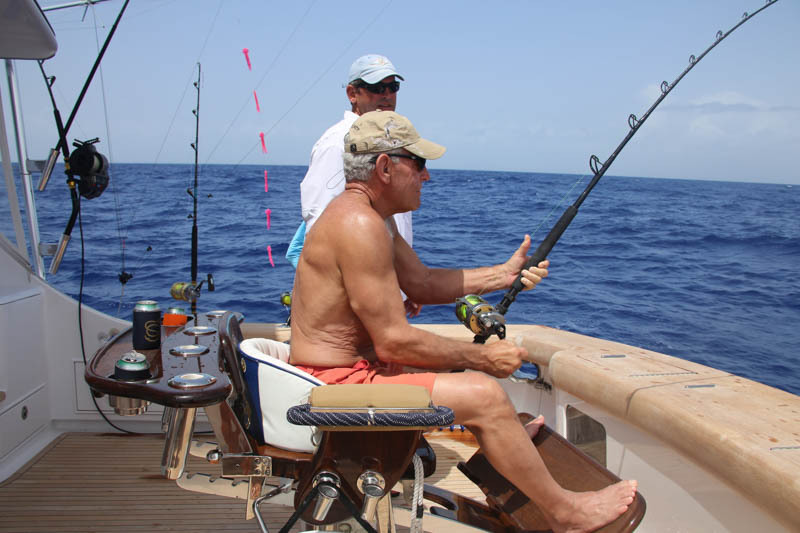 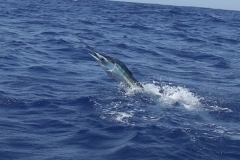 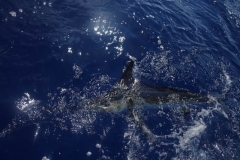 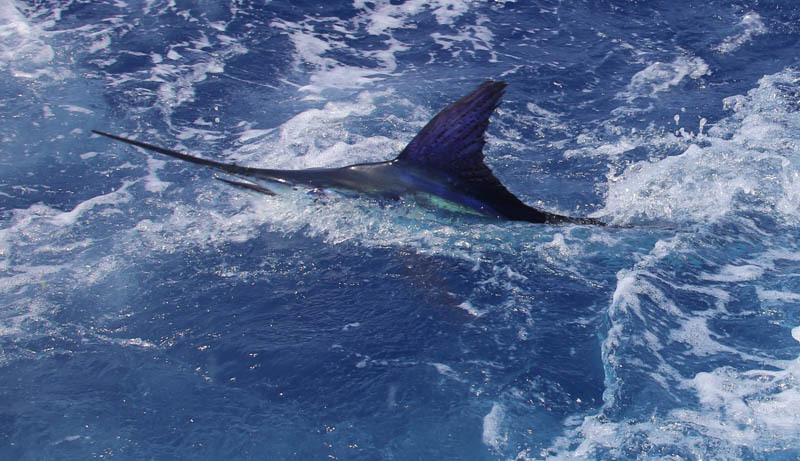 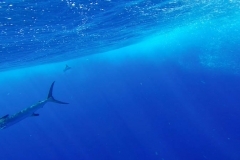 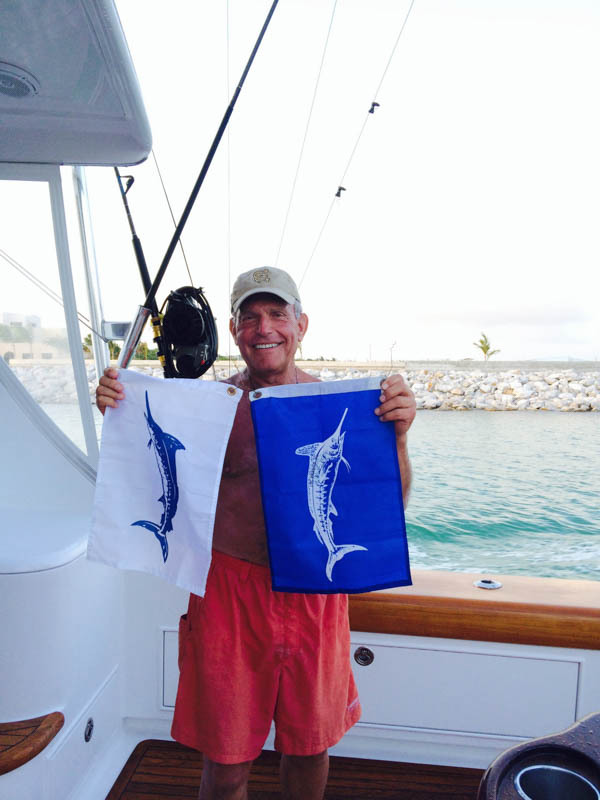 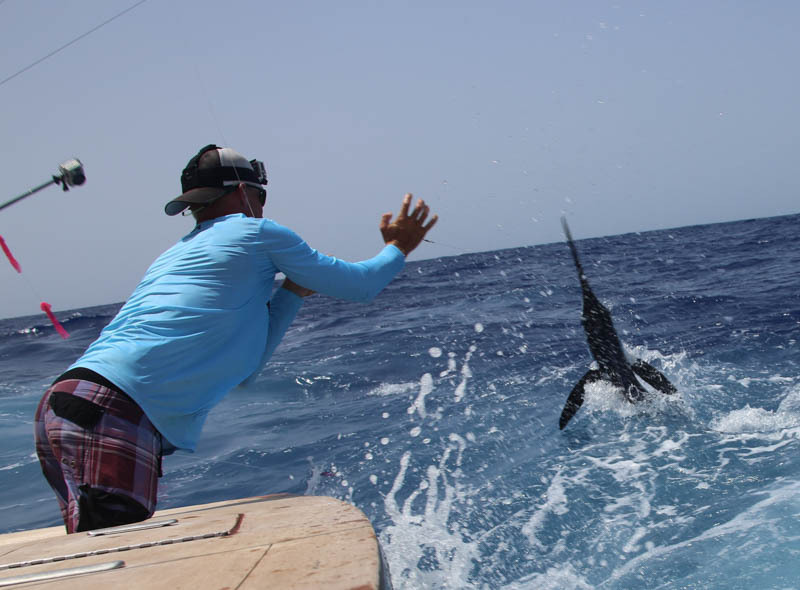 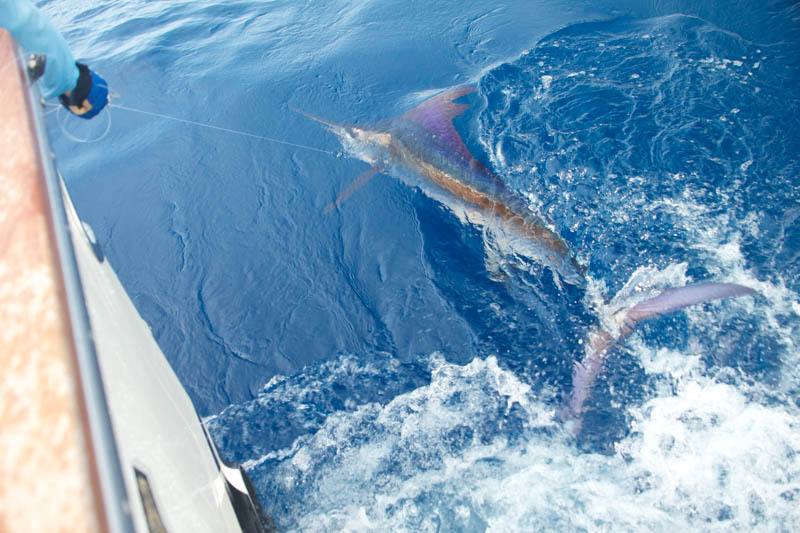 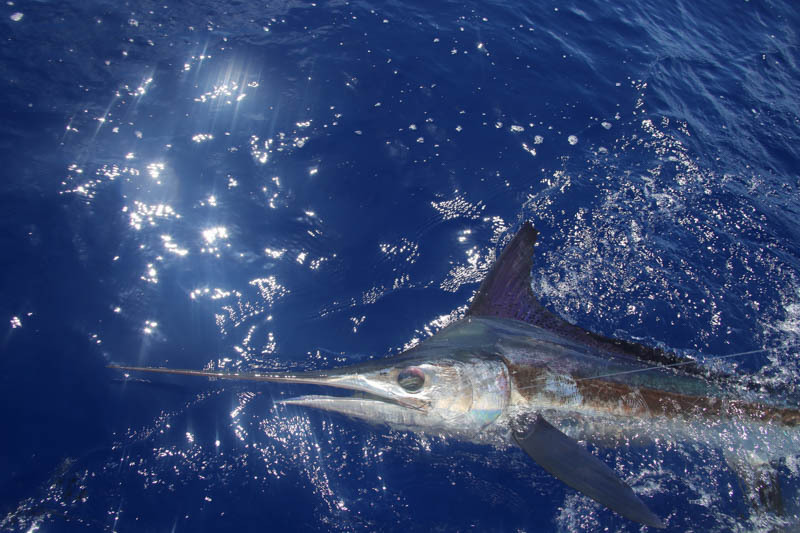 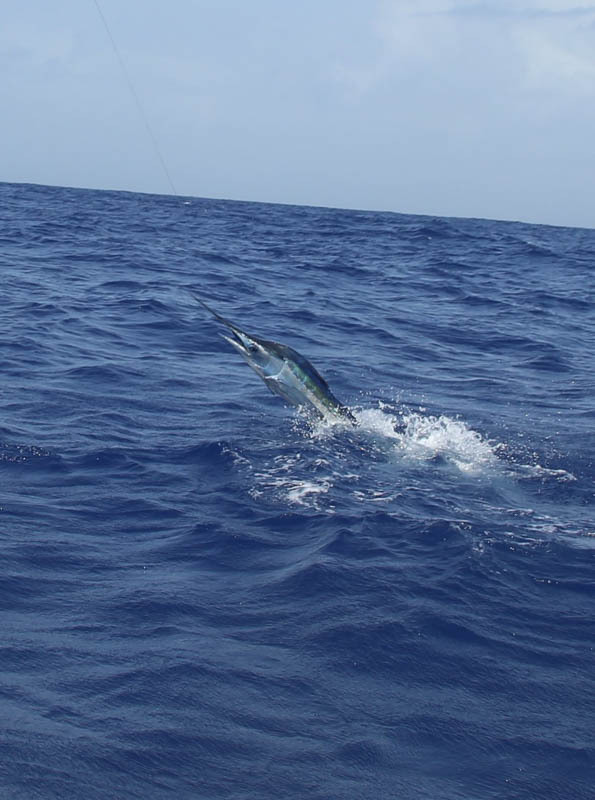 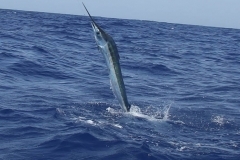 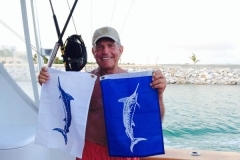 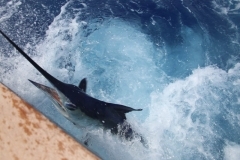 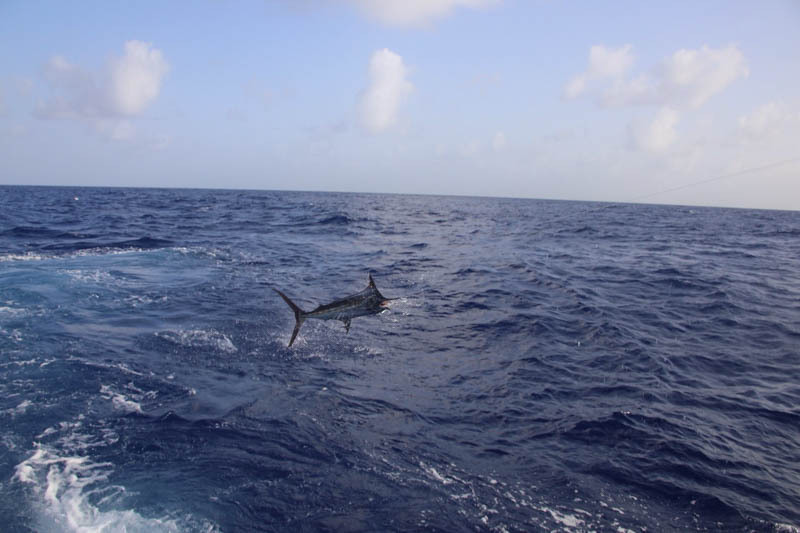 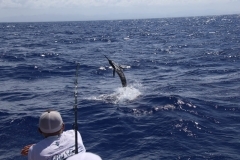 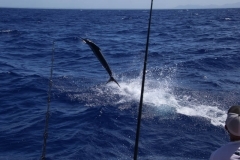 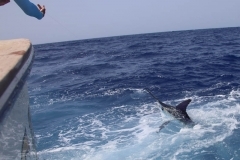 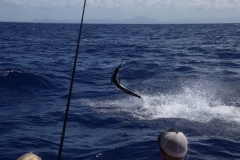 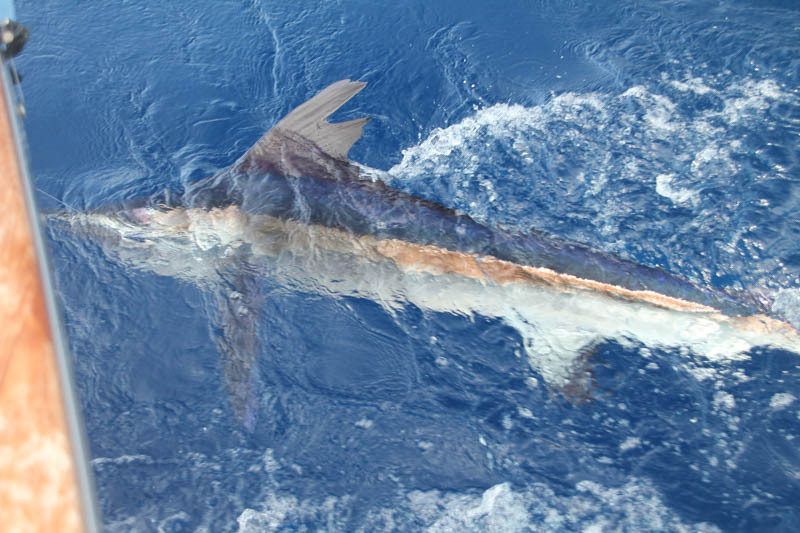 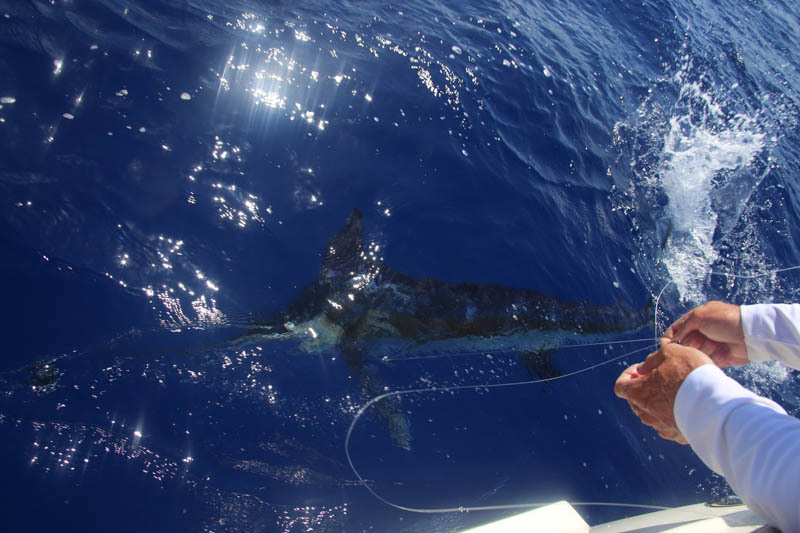 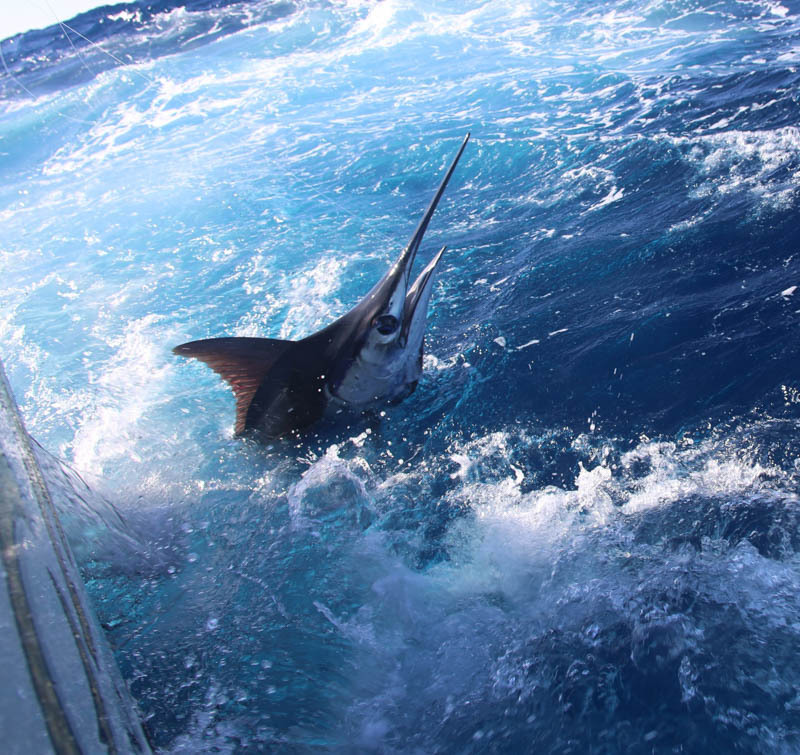 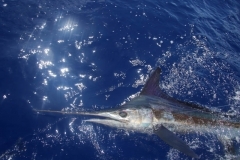 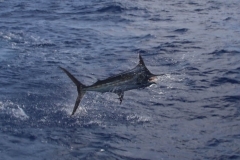 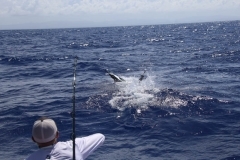 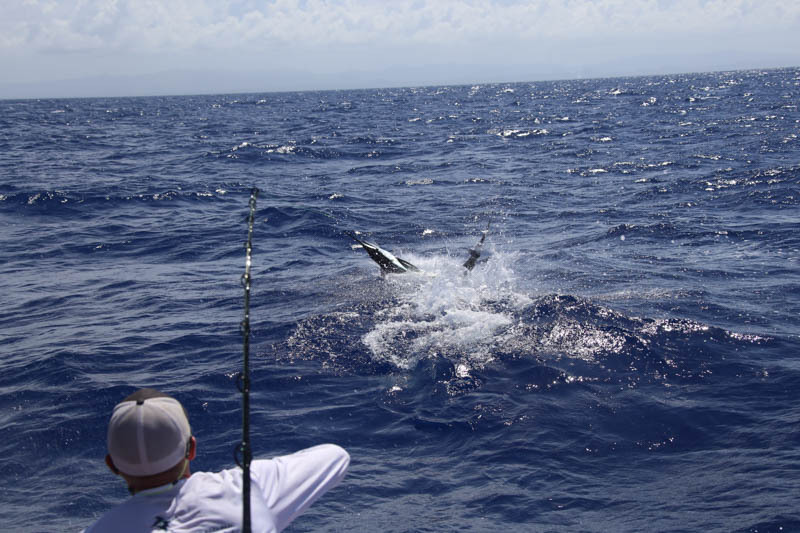 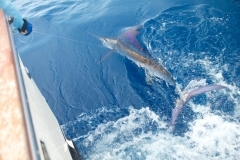 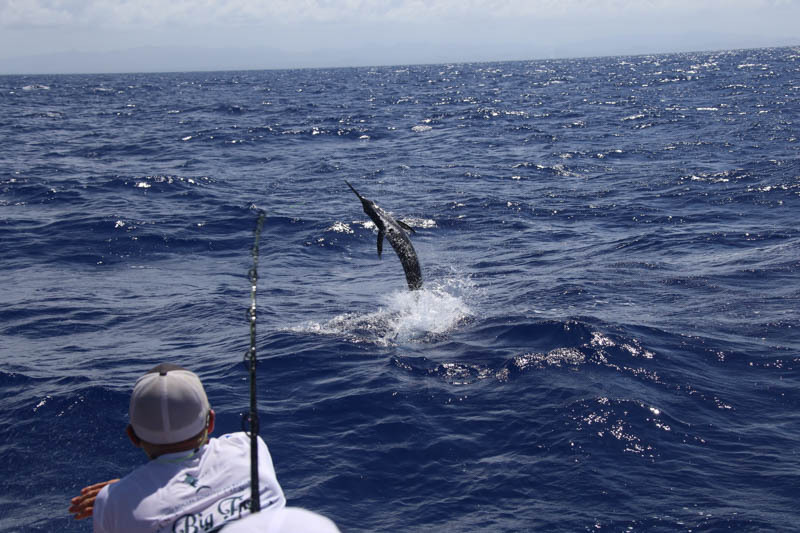 Bill Reaves caught his first billfish ever, and also released a white and blue on that same day. 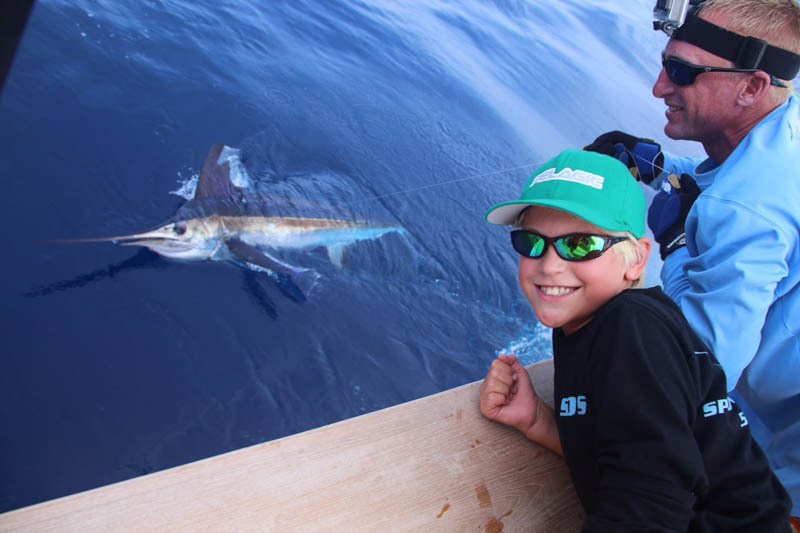 William’s friend Ford Cummings (15) also caught his first blue. 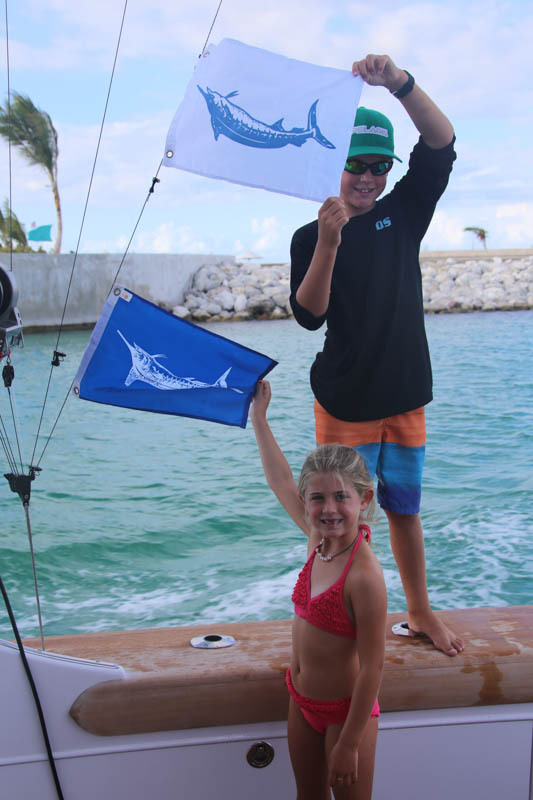 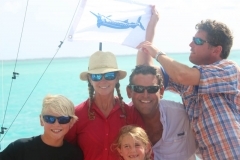 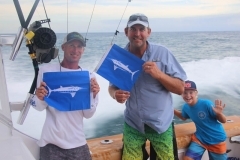 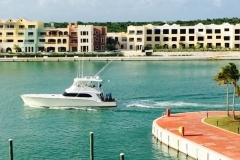 The family traveled through the Exumas and Turks, and was at Marsh Harbor in the Abacos for the Custom Shoot-Out before being spotted recently having a blast fishing in the Dominican Republic. 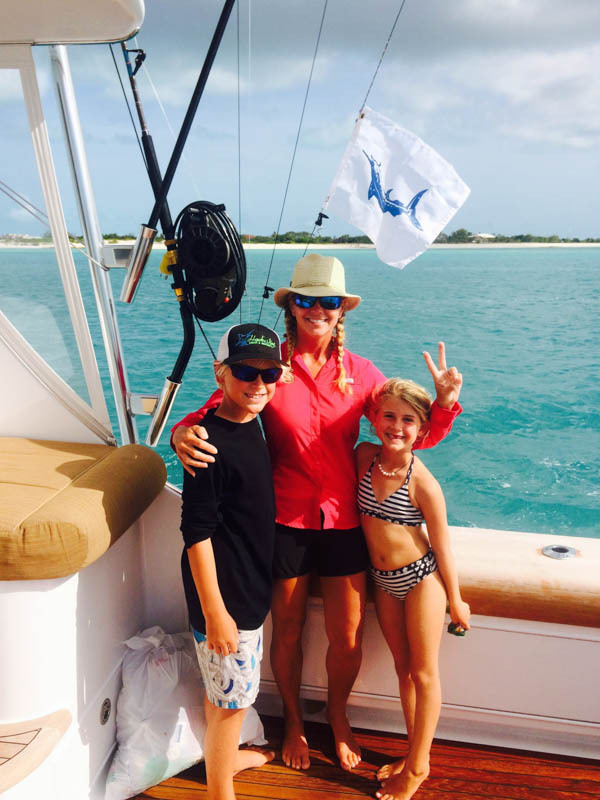 What an incredible trip!